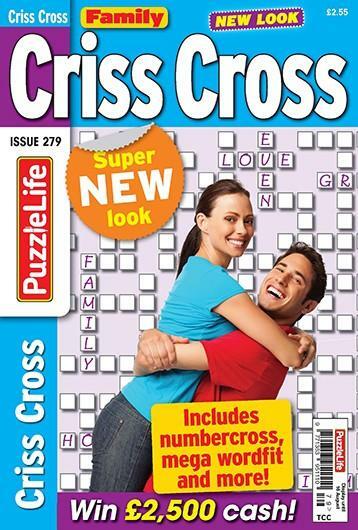 Our great value Family Criss Cross magazine contains a host of terrific criss cross puzzles and a £2,500 cash competition. Words are listed according to length and your task is to fit them into the empty grid jigsaw-style, reading across and down. This unrivalled selection of fun puzzles is guaranteed to keep you entertained for hours. Be the first person to tell us what you think about Family Criss Cross and you'll save £2.50 on your next purchase!